Texas Tailwheel is a small, independently owned and operated flight training provider currently operating out of the Dallas / Fort Worth area. We also work with some friends who’s contact information will be available through our website. Our headquarters is currently a small, part-time, after-hours operation run by Ryan Short, a full time aerial photographer and part-time instructor with over 5000 hours of experience in single engine aircraft including over 950 hours of tailwheel flying. Most of Ryan’s flying in in the area surrounding Dallas Executive Airport. 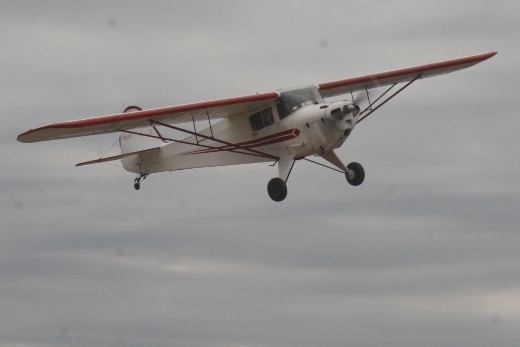 Our fleet has previously included aircraft such as the Taylorcraft BC-12D, Piper Colt, and a 1957 Cessna 172. Our last aircraft was a Cessna 120 that we sold in 2017. We are currently looking for another tailwheel trainer to use, or a project aircraft to restore. Ryan is available by appointment to instruct private owners in their aircraft. Below is a video of a student I soloed in a Piper Cub back in 2012 down in the San Antonio area. If you have a tailwheel 65 or 85hp non-experimental two seat aircraft in the Dallas area that you would consider leasing to us for flight instruction, please contact us!